Kaiten a.k.a. 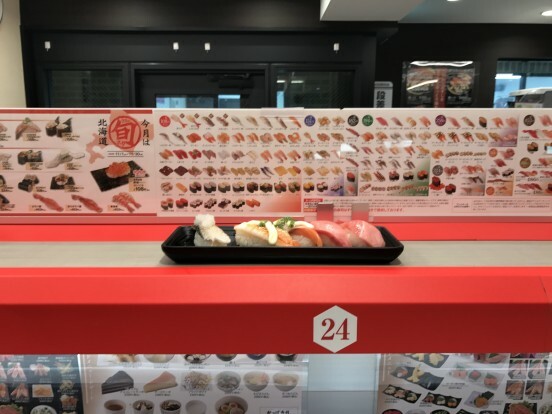 conveyor belt sushi is more fun than delicious. 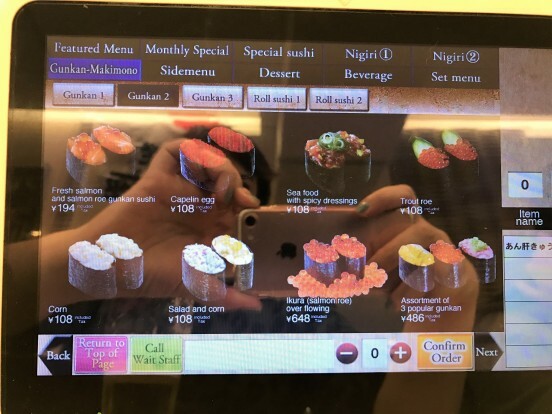 But Sushi Nova is extra fun because you order it on demand from a personal screen, there are choices galore (not just sushi), and it zooms on a conveyor belt from a mysterious back room to your place setting. 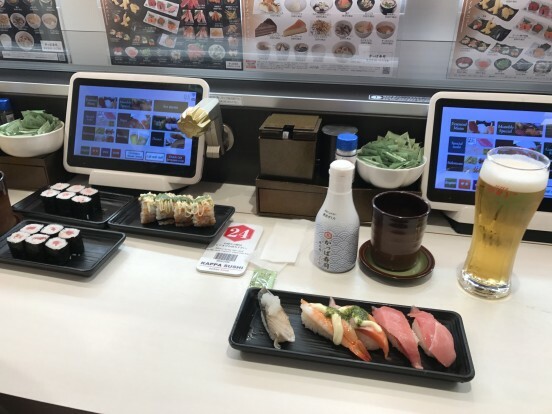 The only human interaction is when you go to the counter and pay (touchscreen payment would complete the diy fantasy). Sushi shows up in just a matter of minutes. There are myriad permutations of sushi and appetizers, based on category tabs like, some fairly nuanced. Gunkan topped with salmon roe or gunkan overflowing with fish roe? You can even get fries, which were surprisingly good. Way more sushi involved mayonnaise for my taste. Of course, no one forced me to order the ham and cheese genovese (pesto) maki drizzled with mayo. Sound and action for full effect.